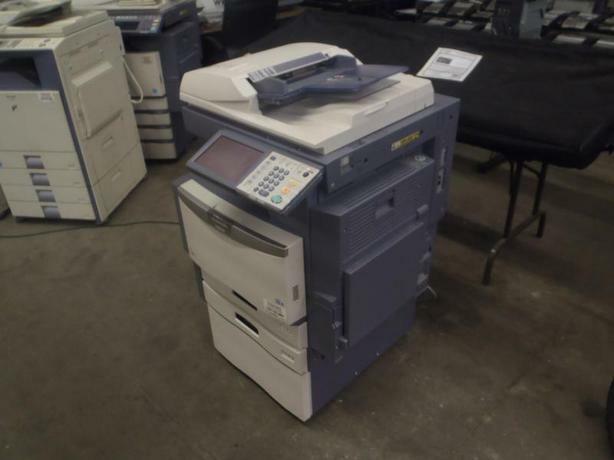 Toshiba EStudio 2330c Colour Photocopier, 2 drawers, 1 storage drawer, photocopier, fax, scanner, printer. (will require a new hard drive to function) $170.00 plus $300 conveyance fee, $470.00 total payment obligation before taxes. Listing Report. All above specifications and information is considered to be accurate but is not guaranteed. Call 604-522-REPO(7376) to confirm listing availability.